Hello friends! I turned back time to 1952 to create this layout featuring my Grandmother and her dog Taffy. I wish I could travel back in time to know my Grandmother in her younger days where she enjoyed chasing after this sweet pup at our family lake house. 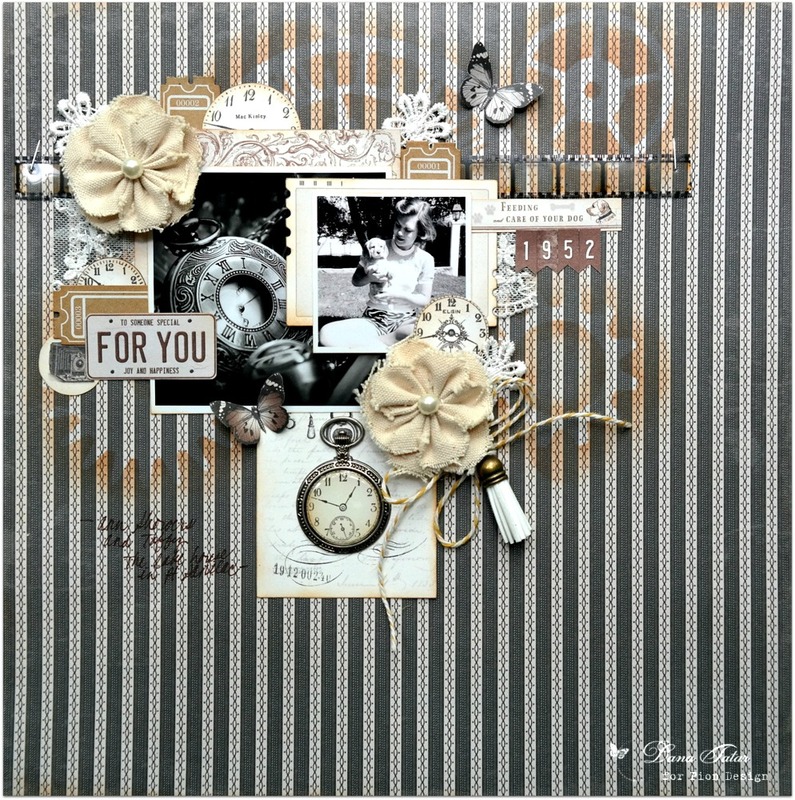 I stenciled clock pieces onto the background of the paper and tucked several clock faces and pocket watches that I cut from patterned paper between the layers of photos. 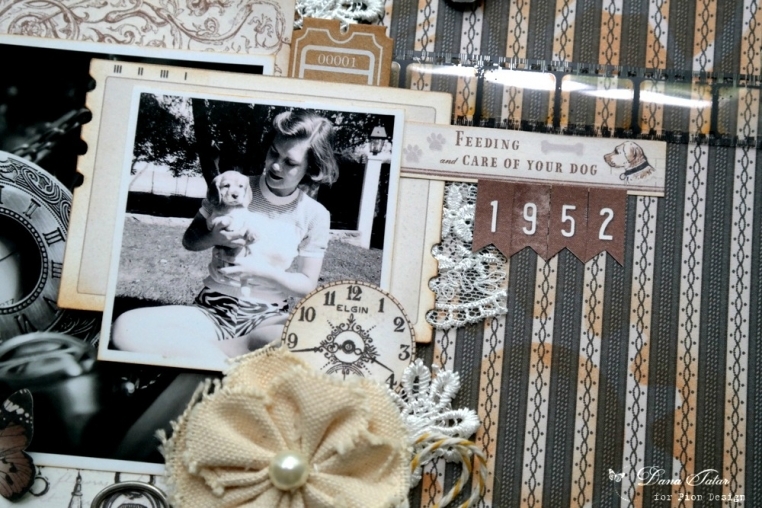 The “Feeding and Care Of Your Dog” border strip was just perfect for this page! I softened the design with bits of lace, some fabric flowers, and butterflies.